Disclaimer: These recipes are blatantly plagiarized from my mother's brain. And probably also a 1986 issue of Bon Appetit. These two apps are pretty much a staple at any party my parents host. And every time my mom's all, 'but don't you think people are sick of the endive?'. NO, mom. Give the people want they want. 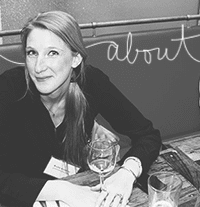 What they want is rosemary almonds and endive boats with smoked salmon. 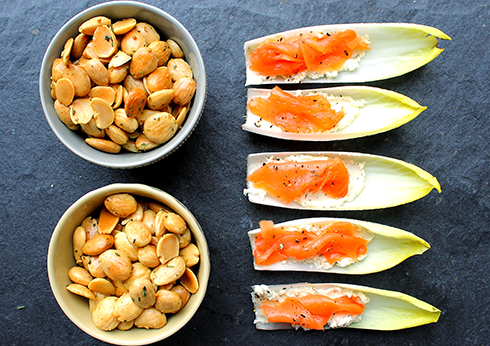 So tonight, if you're having a party or going to a party or swearing off parties, here are two appetizers that require a total of zero cooking and seem kind of fancy schmancy. Definitely fancy schmancy enough for New Year's Eve. Also! 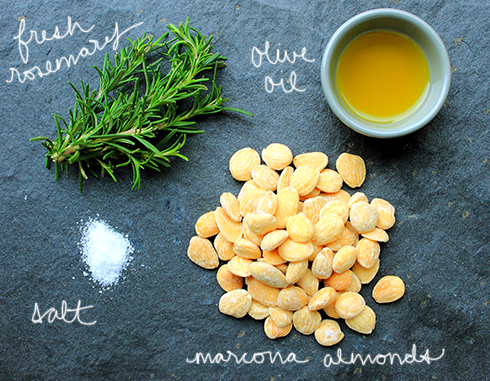 They're each only 4 ingredients. And I'm counting olive oil and salt/pepper, which I think doesn't even qualify as ingredients if we're playing by the rules. Cut about 1/2 inch off the bottom of an endive spear. Start pulling off individual leaves. As you uncover leaves that are still attached at the base, cut another 1/2 inch off the bottom. Continue separating the endive leaves until you get to leaves that are too small. 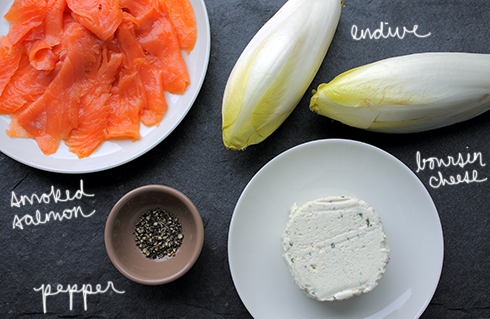 Arrange the endive on a platter. Spread each leaf with about 1 teaspoon of the Boursin cheese. Top with a sliver of smoked salmon, twisting a bit so it looks pretty. 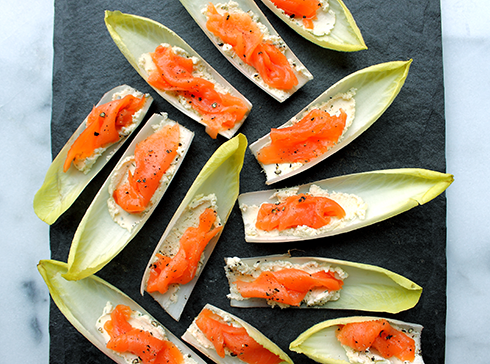 Sprinkle all of the salmon and cheese topped endive with freshly ground, coarse black pepper. 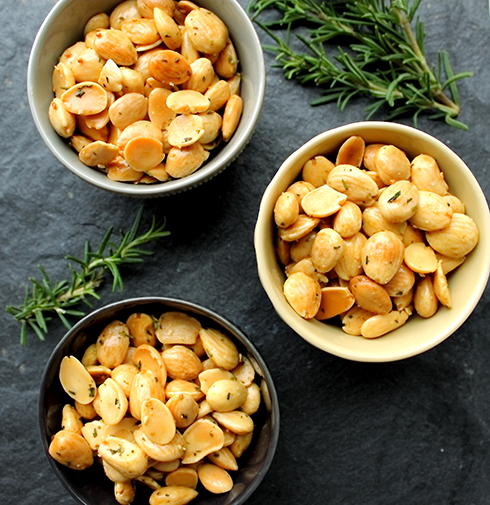 Taste the seasoned almonds, and add more oil, rosemary, and/or salt as needed. Store in a ziplock bag or airtight container until serving. Those look so good! What do you mean by fruity olive oil?